The lounge/living room is the true heart of your home. Installing air conditioning allows you to create the perfect climate all year round. Air conditioning systems not only provide cooling the also offer an extremely effective heating solution and reduce your heating bills. When selecting an air conditioning unit for your living room there are a number of key facts to consider, such as the size and layout of the room. 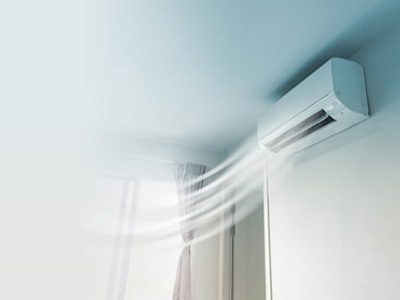 At Aircare Air conditioning Ltd we have fitted a number of household domestic air conditioner systems in Liverpool and the surrounding areas and we have the right experience to select the correct unit for you needs. Wall mounted air conditioners are the most common units used in a living room and also the bedroom. The two main advantages are that wall units are always the cheapest option to install; they are also easy to without the need for redecoration. They are long, thin and placed at a high level on the wall. Wall mounted air conditioner systems are externally quiet; this means that they won't disturb your conversations or your favourite TV programmes.